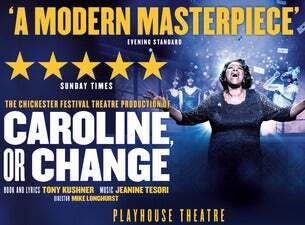 Winner of the Olivier Award for Best New Musical and with performances that'll take your breath away, Caroline, or Change is an imaginative and moving story of strength, revolution and hope. With a “voice full of raw soul that shreds the heart, and sets it soaring” (Times), don’t miss a career-defining central performance from Sharon D Clarke in the five-star musical which changes everything. The role of Caroline will be played by Naana Agyei-Ampadu on the following Mondays: 7, 14, 21 & 28 January and 4 February 2019.